On November 13, 2015, a contract was signed between the Fraserburgh-based Scottish fishing company Mewstead LLP (where father and sons George and Michael Tait of Fraserburgh and Alex and Zander West from Gardenstown are partners) and Nauta Shiprepair Yard to build a fully outfitted pelagic fishing vessel for delivery in October 2017 (from “summer 2017” or “mid-2017” up to December 2017 according to various sources). 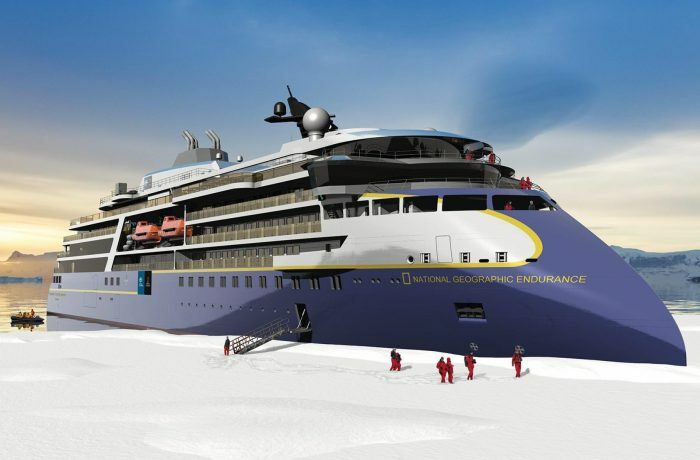 Gdańsk based Newbuilding Department of Nauta (established in Autumn 2013) commenced the construction of the Ocean Star with first steel cutting ceremony held on April 26th. On 16th June, 2016 ceremony of keel laying for the ship was held at the premises of Nauta in Gdańsk. The vessel, newbuilding no. B698, was launched on July 28, 2017 and outfitting works continued in Gdańsk. 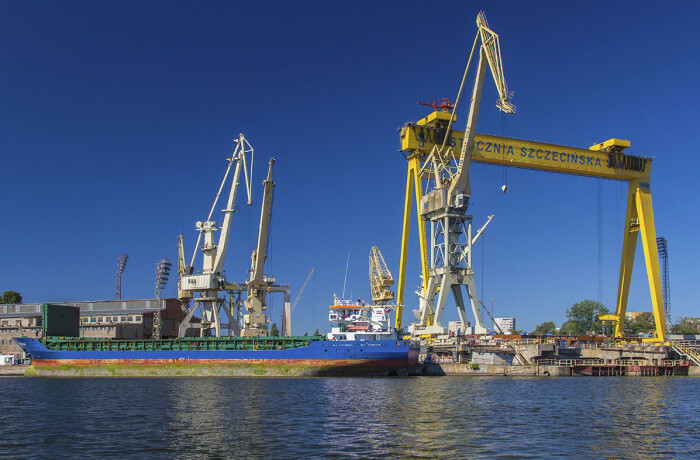 For the final docking (in a floating dock hired from PGZ Stocznia Wojenna) and finishing touches, the vessel was taken to Gdynia, where Nauta is headquartered. It was also in Gdynia, where the name giving ceremony took place on August 17, 2018 with Chloe Tait and Rebecca West – shipowners’ daughters, doing the honors of Godmothers. Several days later the vessel departed for Scotland. 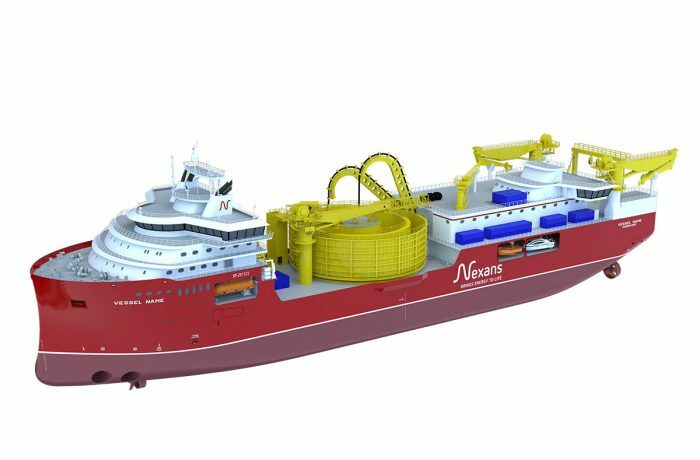 On the occasion of the design and construction contracts announcements, the vessel was reported to become the largest and most efficient ship of its type in the world, when delivered. It specifically means – the largest pelagic trawler with RSW tanks (i.e. the catcher only, without fish processing plant). Ocean Star is indeed a large, nearly 87 m long, pelagic trawler with a significant fish storage capacity in refrigerated sea water tanks. The vessel has been developed in close collaboration between owner, yard and several business lines within Wärtsilä with a high emphasis on efficiency, safety (including working conditions, safety and comfort for the crew) and economy. The result is a vessel with outstanding performance in catch (fish) handling and storage capacity, extremely low fuel consumption and environmental impact. The results from the model tank test reportedly proves that the hull lines are 15-25 % more efficient than competition at high speed. Ocean Star is intended to operate in the North Sea in the fishing grounds around the coast of Scotland. The vessel is equipped with the most modern fishing equipment suitable for catching varied type of school pelagic species. 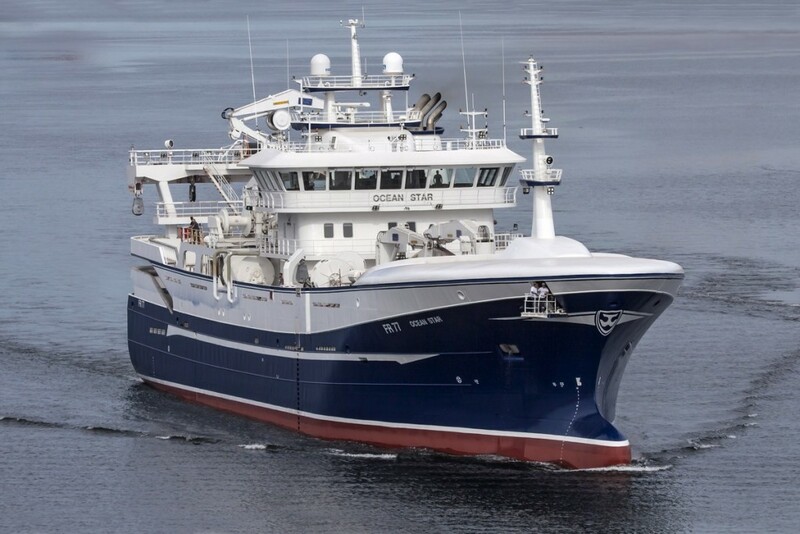 Although primarily intended for use as a midwater trawler, the new Fraserburgh pelagic vessel is also semi-rigged for purse-seining, with a net bin located on the starboard quarter. The vessel has capability of pumping pelagic fish aboard both at the stern and amidships on the starboard side. To facilitate delivering maximum levels of catch quality, mackerel and herring will be stored in 13 RSW tanks with a combined capacity of 3,200 m³ in optimum conditions provided by three high-performance refrigeration plants. The extensive accommodation area includes 16 single-berth en-suite cabins. owners – Mewstead (Fraserburgh) LLP, United Kingdom; flag – United Kingdom; designers – Wärtsilä Ship Design; builders – Nauta Shiprepair Yard, Gdynia, Gdańsk, Poland; newbuilding no. B-698; delivery – August / September 2018; length overall – 86.80 m, length between perpendiculars – 78.00 m, breath moulded – 17.60 m, depth do 1st deck – 10.40 m; deadweight – 4340 t; gross tonnage – 4622; maximum speed – 17 kn; main propulsion engine – 1 × 6960 kW @ 750 rpm (Wärtsilä 12V32E); auxiliary generating sets – 2 × 1360 kW @ 1800 rpm (Wärtsilä 8L20); RSW hold capacity – 3200 m³; accommodation – 16 persons (single cabins); classification – DNV GL, class notation: +11A1, Fishing Vessel (s).